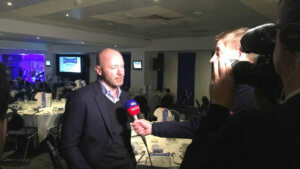 Last night the great Alan Shearer became one of the first inductees into the Blackburn Rovers Hall of Fame. While at Blackburn, where he won the Premier League title in 1995 with Kenny Dalglish as the manager, the Gosforth-born icon played 147 times with 114 goals and 2 assists. In the Premier League, he played 138 times for Blackburn with 112 goals and 2 assists – those figures are just unbelievable, and Alan is one of the greatest footballers England has ever produced. Good words there from Alan Shearer. Previous Post Is Paul Merson Warming To Newcastle? Jib, how “erudite” of you. Don’t think he’ll ever be in nufc hall of fame while Ashley is here! Must be in the journalists code of conduct. Definite whiff of Ashley apologists creeping in, softly softly to test the waters – building up to acceptance of Mr Tubbs next instalment of info to the fans. We’ll hear tales of “Ashley has changed” – “Rafa and Tubbs love in”. The dimwits and pigeon brained are waiting to exercise their naivety yet again. A knaa we yeez are! !